When we first arrived to the airport of Dar es Salaam, it was rainy and almost cold. 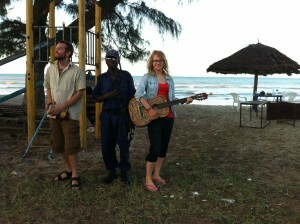 But this was only the first unexpected incident in our 40-day-trip through Tanzania. Back in the cold and dark Finland, Michael Wilson held a lecture for our medical class about trauma in Seychelles. He also told that he works as an international coordinator for the PeerCorps Trust Fund, and if anyone is interested doing a practical internship in Tanzania, one should contact him. In the end there were four of us sitting with Michael, drinking tea, viewing pictures and planning a trip for next summer. So we packed our stethoscopes, ECG-rulers (of course at that time we didn’t know that there wouldn’t be an ECG-machine in the hospital), got the vaccines and reserved flights to Dar es Salaam. Soon enough we found ourselves under mosquito nets in a budget hostel near Kariakoo. We had one week to get ourselves familiar with the culture before the actual internship would start. So we took a boat to Zanzibar and travelled around the island with a dalla dalla (local cozy minibus). In addition of getting burned in the endless paradise coasts of Zanzibar, we tried to pick up the basics of bonfire drumming and the Swahili-language. Luckily the locals were super-eager to teach us these skills. 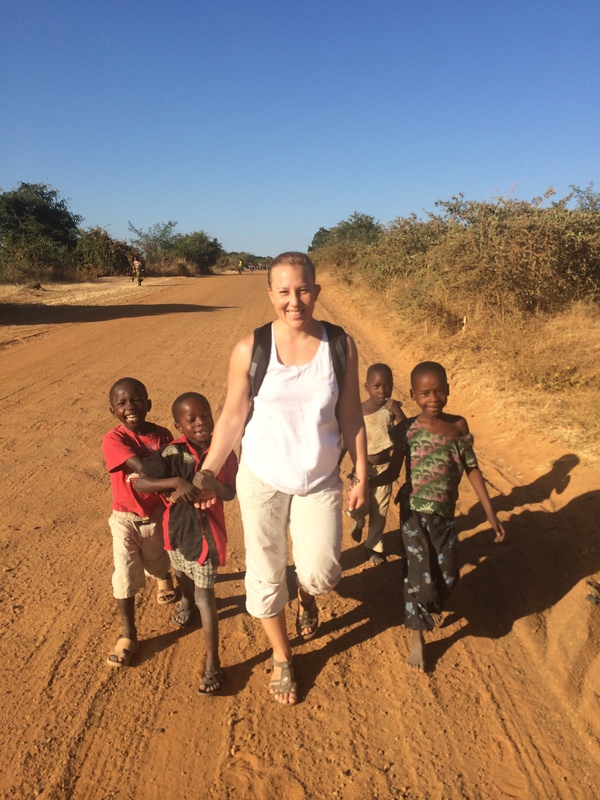 Some were even more eager to teach us their mother tongue, one of the hundreds of Tanzanian tribal languages. But naturally we had enough challenge with the national language, as well as the locals had with English. By the time we left the island, we were able to say nzuri when someone asked habari? And we really were doing well. 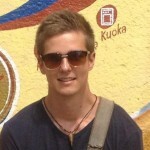 We had decided to do the three-week-internship in Nzega, a rural town in the northwest of Tanzania. Before getting too far out, we met Michael who had arranged for us an opportunity to get to see the Muhimbili University Hospital, the biggest hospital in the country. We found out that they were really pedantic about the procedures we could get to see, and for that we didn’t see too much. Nonetheless the highlight of the campus visit was a lecture about skin bleaching habits of local women (and men, to some extent). We were sad to hear that many women use the bleaching products regardless of the excessive damage to their skin and other organs. One woman that was interviewed afterwards said that she was obligated to continue bleaching, or her skin color would darken further. About this time we started to realize that white skin really makes you stand out in the crowd in this part of the world. Mzungu was among the first words we learned in the streets of Nzega. The word is used to refer to someone with white skin and Western origin. And since the town wasn’t necessarily a tourist hot spot, we received lots of attention and enthusiastic shouting. At first we could not help but wonder, what would happen if someone shouted “hey black man from Africa” to an immigrant in Finland. But soon enough we found out that generally the locals didn’t mean to offend. Quite on the contrary – Nzega soon made us feel that we were warmly welcome. 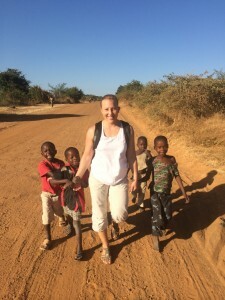 We wanted to stay with local families during our internship. Michael had arranged everything beforehand with the community. So I and Marcus moved to one family, Eeva and Lotta moved to another. The first days with our family felt somewhat weird, because we had no common language. At the dinner table we ate in silence, always being very polite and saying asante when there was something to thank. We played ball with the four kids of the family, and they taught us to dance like they dance in their gospel home videos. We found out that you can actually go a long way without words. 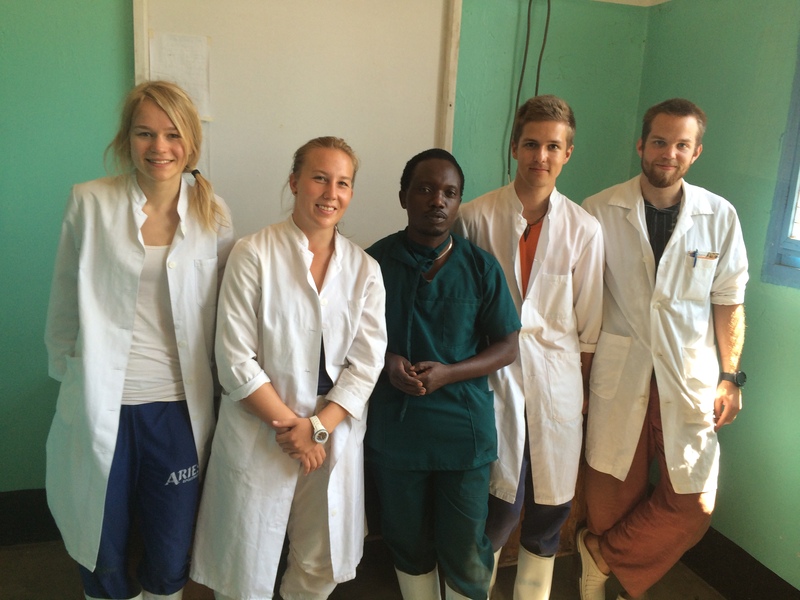 Then it was time to get to it – we started our internship in the Nzega District Hospital. On the first day we met Dr. Amos, our friendly supervisor. With him we made a schedule for the next three weeks – we were especially interested in surgery, so we agreed that Dr. Amos would take us with him whenever he would operate. In each week we would be observing one of the hospital’s different wards. In the maternity ward we saw how giving birth can be extremely painful – there was no epidural analgesia. Occasionally, when the delivery was prolonged, the mother was rushed to the operation theatre to have a Caesarean section. In other wards we learned the most common diseases of the area, and malaria was the number one diagnosis. In addition to learning patients’ clinical symptoms, the laboratory staff taught us how to spot the malaria parasite from blood smears. One day we went to the infectious diseases ward, where we prescribed meds for HIV and tuberculosis. Mostly we were observing, for we were still far from being fully qualified physicians. Our internship-program wasn’t too strictly fixed. It was up to us when and where we would be working each day. Doctors didn’t always remember to find us when there was a ward round or something going on in the theatre, so we tried to be alert and many times waited considerable time for something to happen. But we had already internalized that one of the most important assets in Tanzania is the hamna shida -mindset. I would translate it something like “come what may and chill, even if nothing comes”. We had lots of free time. There was actually a pool on the community grounds, where we made sure to store up enough D-vitamin for next winter. We also had a chance to do a weekend safari trip. There we learned to appreciate the wonders of the wildlife. For example, that a zebra is a black-colored horse with white stripes, not a white-colored horse with black stripes. I guess one essential thing regarding our medical training was to see what it really means to treat patients with low resources. This internship sure helps to see how valuable the ultrasound and the ECG are in diagnostics. Another thing was that around Tanzania it’s not as self-evident that western medicine is the way to go when you want to get better. Many people will rather go to see a witch doctor or treat themselves with traditional means. It is known that when people believe that they have received good treatment their condition will improve more compared to those who believe that their treatment has been bad, even though the objective treatment given would have been the same. The power of placebo is universal, and a good doctor will need good interaction skills anywhere in the world. Goodbyes are seldom easy. In the end our house had started to feel like home, and our communication with the family had improved enormously. On the last day we cooked dinner together and danced through the night. We have stayed in touch with Dr. Amos via WhatsApp; he loves sending thrilling pictures. We still had a week left before our flight back, so we did some travelling and souvenir shopping. And we happened to find an abandoned ghost hotel, but that’s out of context and another story. All this said, I would recommend this kind of trip to anyone who wants to get away from everyday routines and to immerse oneself in a different world. It’s not all different, though. Like in every place that humans dwell, here you’ll find misery, faith, love, envy and happiness. And all this you can experience without perfectly mastering Swahili. Hamna shida, go and see for yourself. 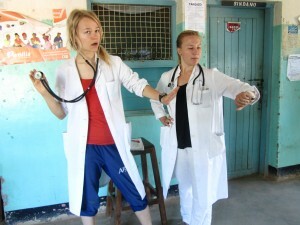 Tatu is a 22-year-old medical student from Finland. 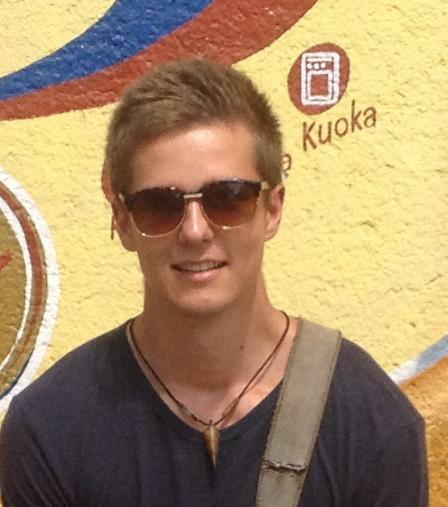 He soon found out that his name means ‘three’ in Swahili and is a common girl’s name in Tanzania. After countless conversations with locals about this subject he still feels like a man. If you got interested, be in contact! This entry was posted in Guest Contribution by Mike. Bookmark the permalink.